If the UK voters decide to leave the EU in the upcoming referendum in June of this year, it could have a significant impact on Irish agri-food exports. This is according to a newly released report produced by economists from Teagasc, the agriculture and food development authority in Ireland. Total Irish agri-food exports were worth close to €11 billion in 2014. The UK is the number one export destination, with agri-food exports in 2014 worth over €4.5 billion. This makes the UK market more important to the Irish agri-food sector than is the case for other sectors of the Irish economy. If a vote in favour of Brexit occurs, an extended period of trade policy uncertainty will follow, as negotiations will need to take place to determine the future trading relationship between the UK and the EU member states, including Ireland. It would be likely that the UK would leave the EU sometime around 2020, or thereafter, depending on how long it takes to negotiate the complex mechanisms associated with Brexit. 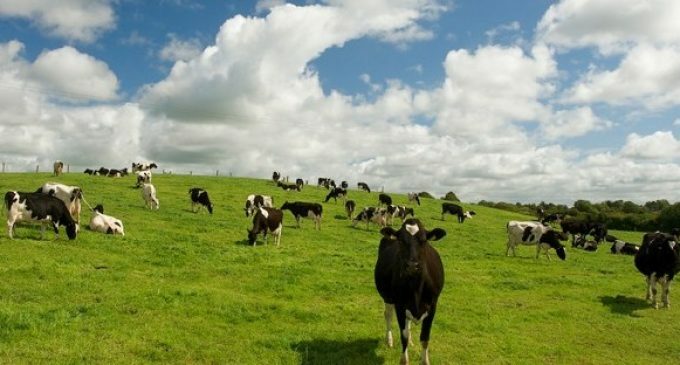 The Teagasc report notes that following Brexit the UK would also have greater scope to adapt its agricultural policy to its own requirements. The exact shape of UK agricultural policy in the event of a Brexit is unknown. The UK has long been a proponent of radical CAP reform, but in the event of a Brexit is unlikely to radically alter UK agricultural policy immediately. Over the medium term if Brexit occurs, UK agriculture is likely to receive lower levels of budgetary support and the support provided is likely to be more targeted towards the achievement of environmental objectives relating to agriculture. The report finds that agri-food trade with the UK will not collapse if Brexit occurs, simply because the UK has a very large agri-food import requirement, due to its low level of agri-food self-sufficiency. Author of the report, Dr Kevin Hanrahan of Teagasc, notes that it would be in the interests of the Irish agri-food sector that trade with the UK would continue in an unimpeded fashion, through a mechanism such as a customs union. Brexit could mean the re-introduction of trade barriers between Ireland and the UK, unless the EU can agree a suitable trade agreement with the UK as part of the UK’s Brexit terms. In a worse case scenario, Irish exports of dairy products, beef and other agri-food items could face import tariffs that would make it less likely that they would be imported onto the UK market. There is also the possibility that, following Brexit, the UK might eliminate all its import tariffs, allowing beef exports from South America and lamb and dairy exports from New Zealand to enter the UK market at much lower prices than prevail at present. This would depress prices on the UK market, which would be bad news for Irish beef exporters. However, the reports states that tariff elimination is an unlikely outcome, as the UK would probably seek to retain some level of tariffs to protect its livestock sector from low price import competition. Teagasc Economist Trevor Donnellan notes that Brexit could mean a reduction in the value of Irish agri-food exports of anything from €150 million (1.5%) to €800 million (7.2%) per annum. The report concludes that if the UK votes to leave the EU, it will only be possible to make a detailed assessment of the consequences, when the terms of Brexit become clearer.